...in the present moment that will change your life, heal your wounds and bring you a quiet mind. 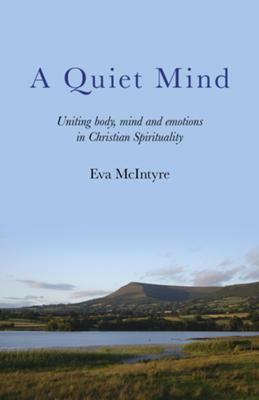 'A Quiet Mind - uniting body, mind and emotions in christian spirituality' by Eva McIntyre. 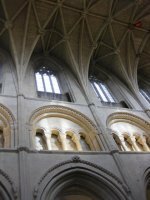 A Quiet Mind tackles the dark corners of Christian tradition where it has been used to reinforce negative self image and lack of personal spiritual freedom. It encourages the reader to believe in her or his spiritual instinct and to use the techniques it contains to free the spirit from the constraints of dogma and self doubt. This book approaches issues of mental, emotional, physical and spiritual well being in a unique way within the Christian Tradition. It does so in an accessible and practical manner with techniques and exercises for the reader which have all been tried and tested by the author. Eva McIntyre weaves together personal story, psychology, theology and theatre skills to equip the reader to be able to reach that most desired yet elusive goal; peace of mind. The approach is that of encouragement and reassurance and you're not expected to get it right all at once. Nor is this a one size fits all programme. On the contrary; it provides the tools and permission for each person to find his or her own way to a quiet mind. I thought this book looked so wonderful that I contacted Eva McIntyre and suggested she promote it on a-spiritual-journey-oh, so you could hear about it. The ability to watch, allow and quieten our racing thoughts is such an important one to acquire. It is particularly important when living with illness. Often we may need to spend long amounts of time in silence and without activity. It is in these times that the content of our thoughts makes itself known. When we quieten our minds we can find the peace that passeth understanding; we are better placed to hear God's voice. Years ago, I stumbled upon a beautiful method of devotion called meditative prayer. I began practicing and I have been astonished by how this simple daily act has changed me. Quite honestly, I have experience the miraculous. 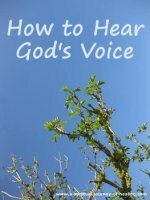 Because no one I talked to had ever heard about holy silence, I felt compelled to write a very short instructional book in the hopes that more people would discover this amazing practice. 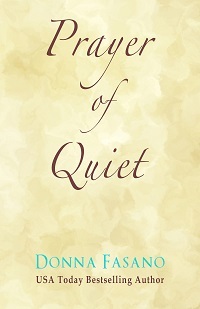 I do hope you will take a look at Prayer of Quiet as it is truly a book from my heart. If you do read and enjoy the book, I would so appreciate you telling someone you feel might be in need of the information. I would also like to request that you review the book. May your spiritual journey be filled with Love and Light. I love the term ‘Holy Stillness’. Beautiful.